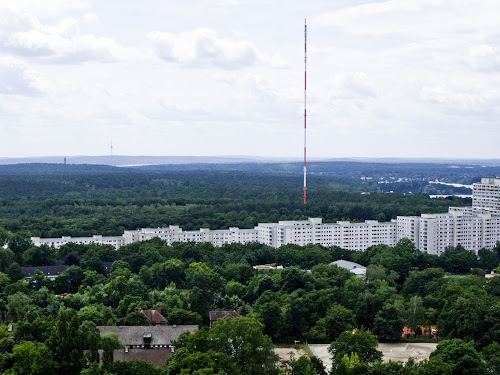 A common site in the landscape of West Berlin is a tall, thin, red and white striped mast rising out of a forest of trees. 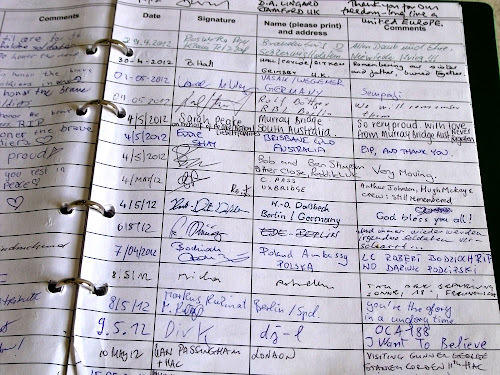 Most visitors will have noticed it, but how many know what it is and what lies near its base? 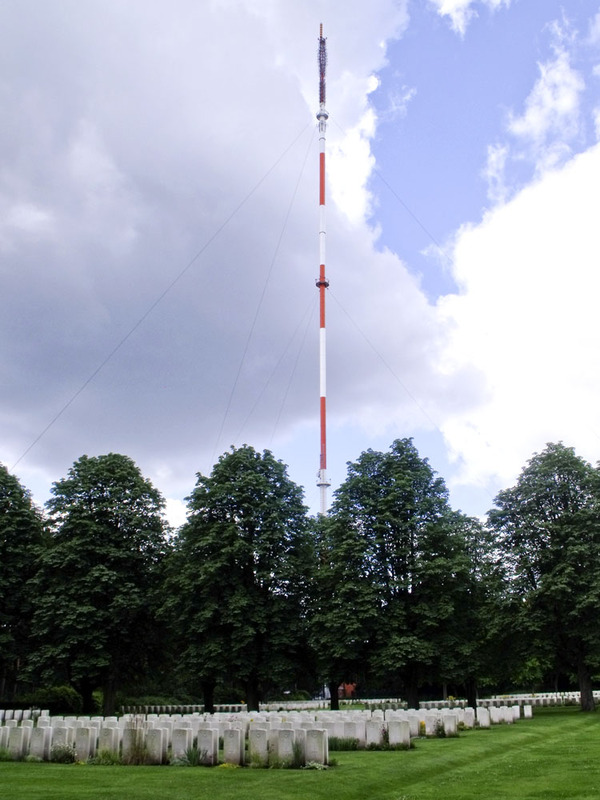 The tower is a TV, radio and mobile phone mast known as 'Sendemast Scholzplatz'. At 230 metres high it is the fifth highest structure in Berlin (by comparison, the Fernsehturm in Alexanderplatz is first place at 368m, and the Funkturm near the ICC is a mere 18th place at 146.8m). 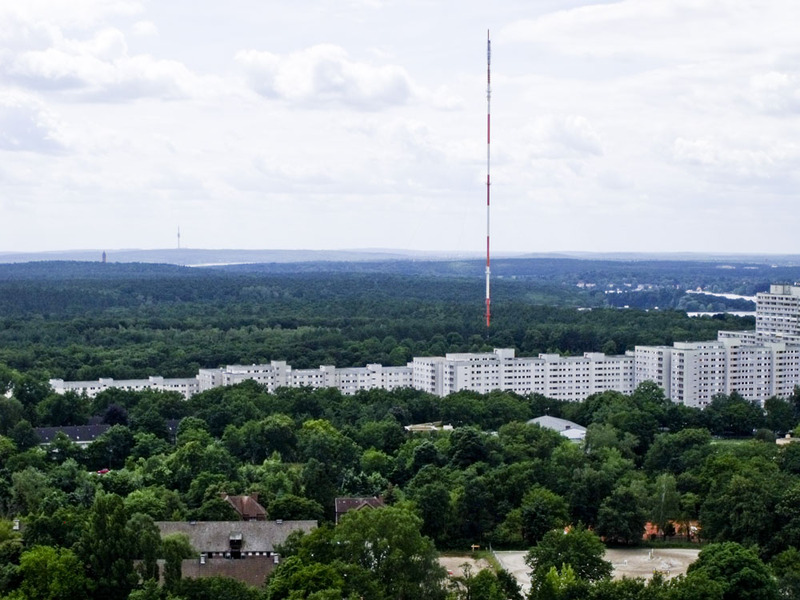 It was constructed in 1963, and took over from the Funkturm for radio transmissions, particularly because it could transmit Western news deeper into the former DDR than previously. What is more interesting (unless you are a radio phreak) is the plot of land beside which it stands, which to all intents and purposes belongs to the territory of the United Kingdom. 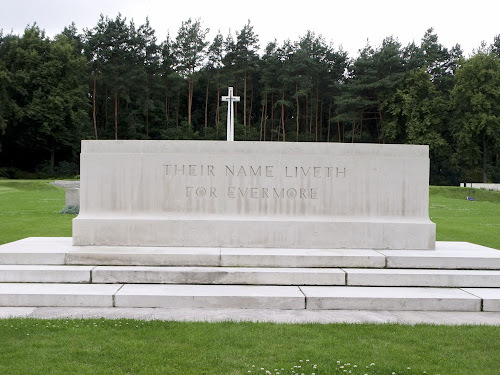 Here is one of two Commonwealth War Graves Commission owned cemeteries in and around Berlin (the other is the World War I Berlin South-Western in Stahnsdorf, near Potsdam). 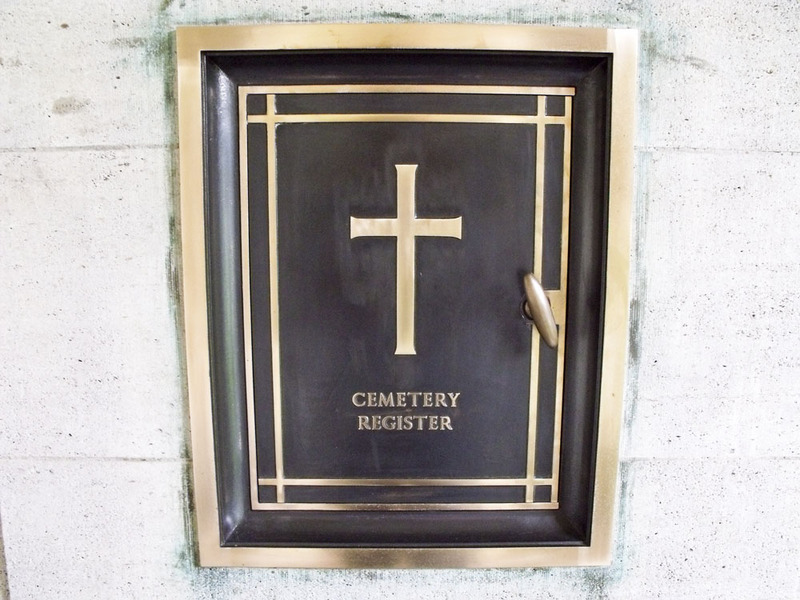 Graves were brought to the cemetery from the Berlin area and from eastern Germany. 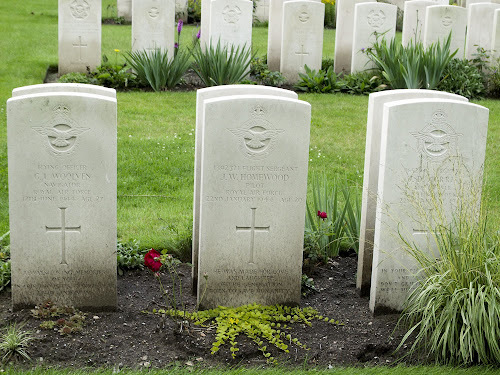 The great majority of those buried here, approximately 80 per cent of the total, were airmen who were lost in the air raids over Berlin and the towns in eastern Germany. 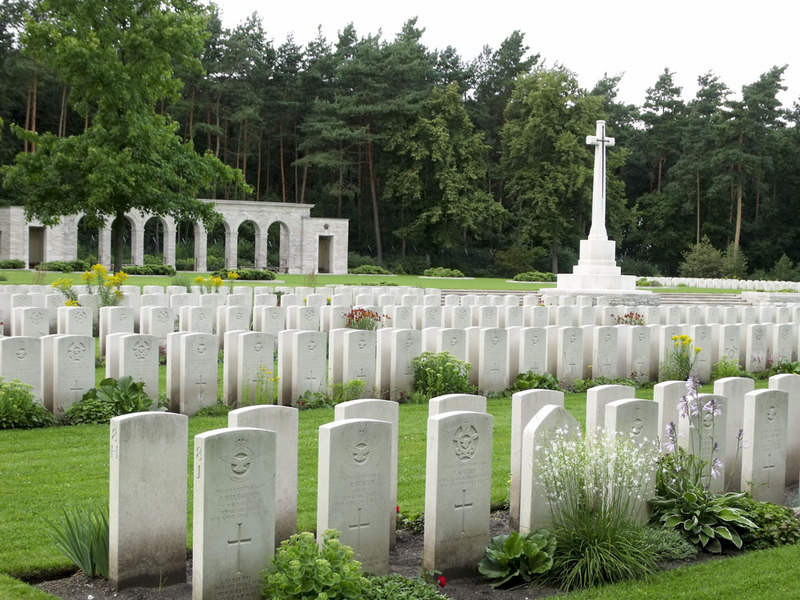 The remainder were men who died as prisoners of war, some of them in the forced march into Germany from camps in Poland, in front of the advancing Russians. The cemetery contains 3,595 Commonwealth burials of the Second World War, 397 of them unidentified. 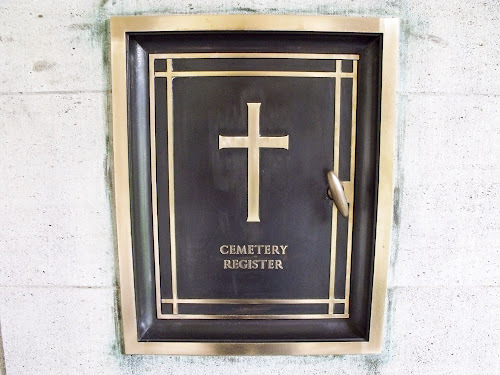 There is a register contained in a small cupboard beside the entrance that shows where people are buried, if you are looking for a particular relative. 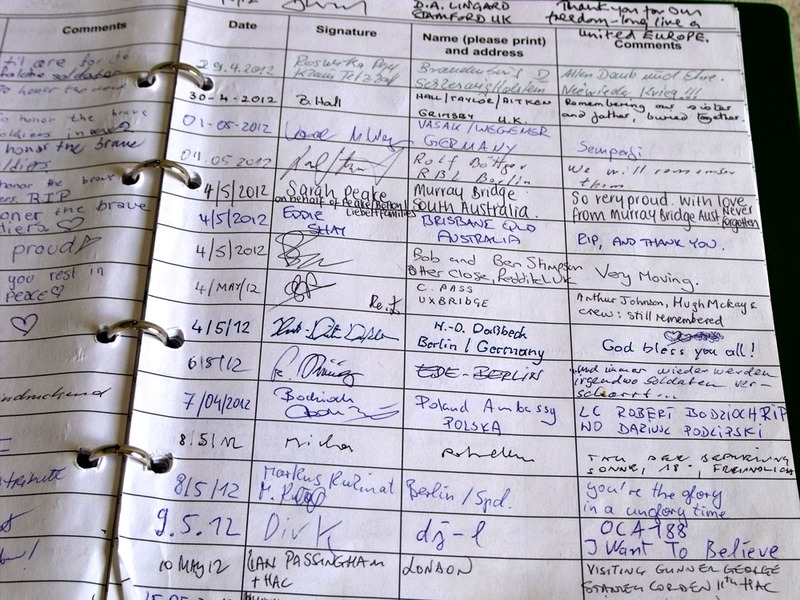 There is also a visitor's book with some moving comments. 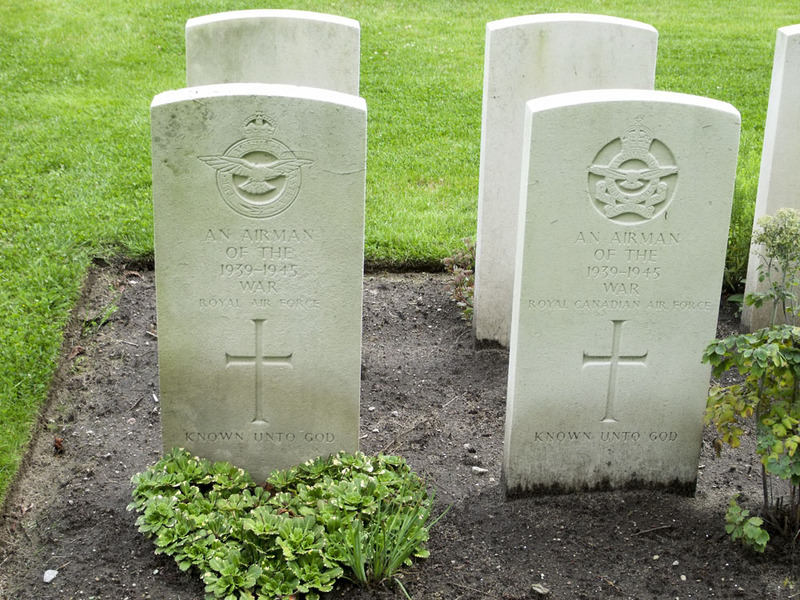 The graves of two unidentified airmen. 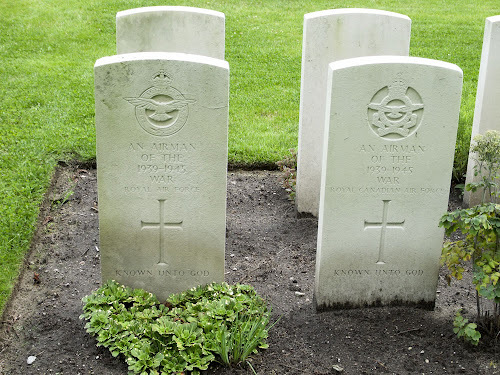 Note that the one on the right was Canadian. Though the cemetery is predominantly Christian, I noticed that there were a small number of Jewish graves, marked by the Star of David and with pebbles left by visitors in the Jewish manner. 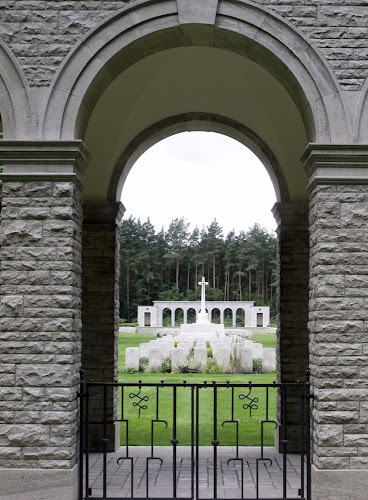 If you are looking at visiting the British War Cemetery, then note that the nearest S-Bahn is Pichelsberg (S9 and S75). Access is gained from the busy Heerstraße (appropriately enough: 'das Heer' means 'army'). 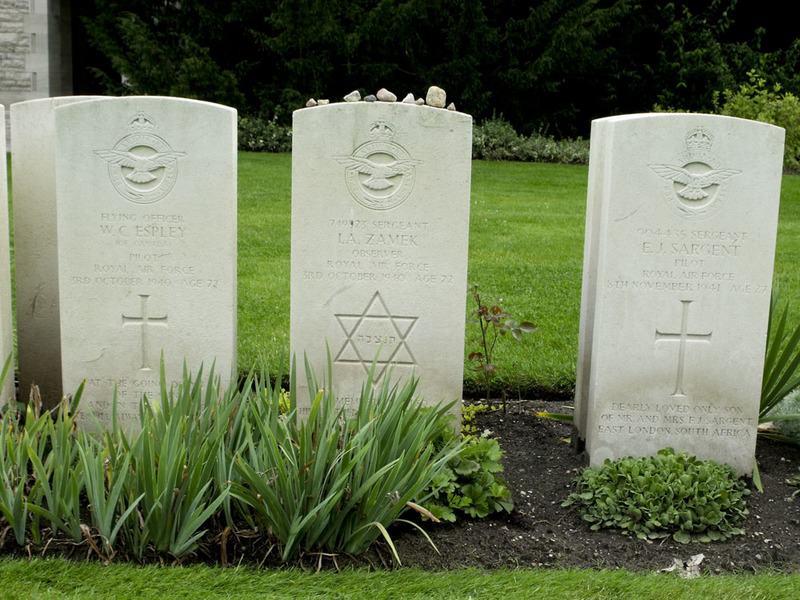 There is also a Jewish cemetery next to the British War Cemetery. British War Cemetery viewed through the entrance gate. Even if you don't wish to make the trip out to the cemetery, at least now whenever you see the Scholzplatz mast you will perhaps remember the brave soldiers who are buried there. Took my students there this week; visited my great-grandfather's grave who had died whilst serving with the Allied Occupation Forces.